Down Below you can find our Submission Form. Please open the word document that is in the link, fill in the form and send it to us with the cd ( 5 Pics ) that your pictures in. An addition to that we would like you to send us one digital copy of the submission form by e-mail. 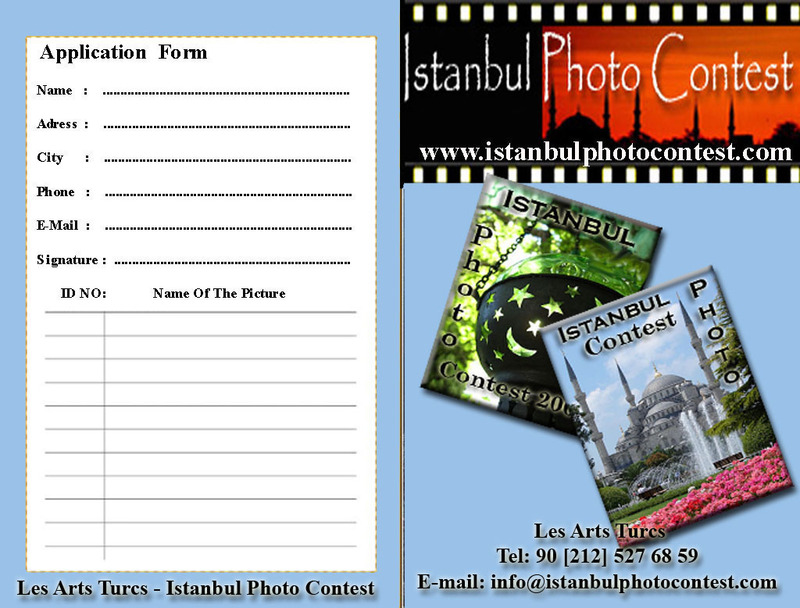 I certify that I own the full rights to the images submitted into the Istanbul Photo Contest. I am also aware that if any of my images are chosen as winning images, I am granting " Les Arts Turcs "the non-exclusive irrevocable right to use the images for any reason regarding the Istanbul Photo Contest without further compensation, consideration or consultation. I am also giving permission to use my likeness and name in association with my winning status and images. !!! PLEASE CLICK FOR THE PRINT OUT FORM THAT WILL SEND WITH THE CD !! !